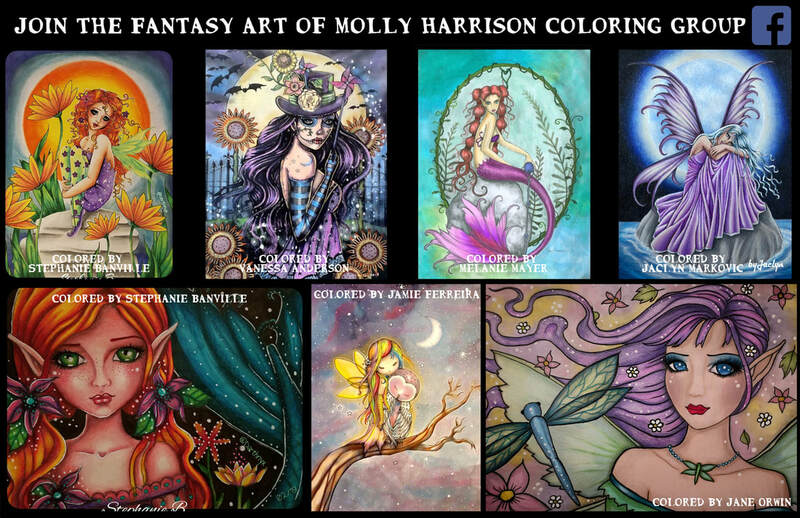 Welcome to the Fantasy Art of Molly Harrison! 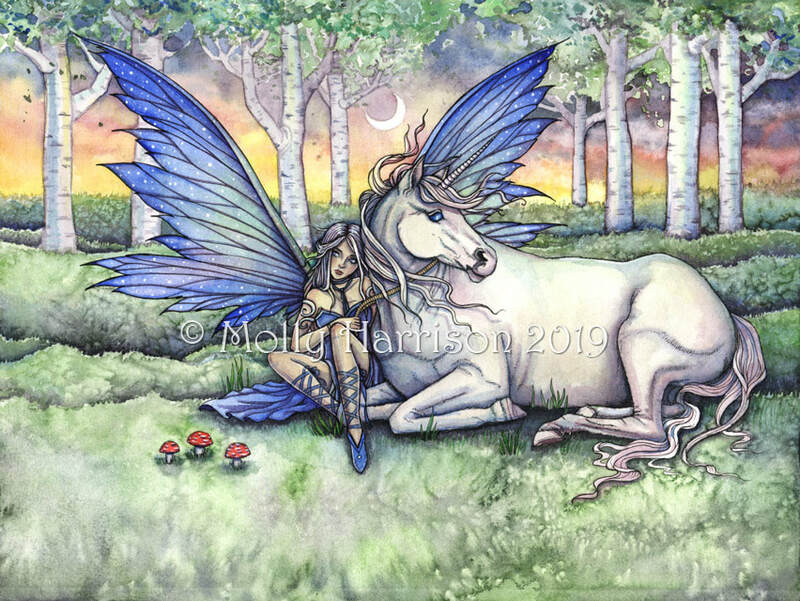 Be swept away into a world of magic, created by fantasy artist Molly Harrison. 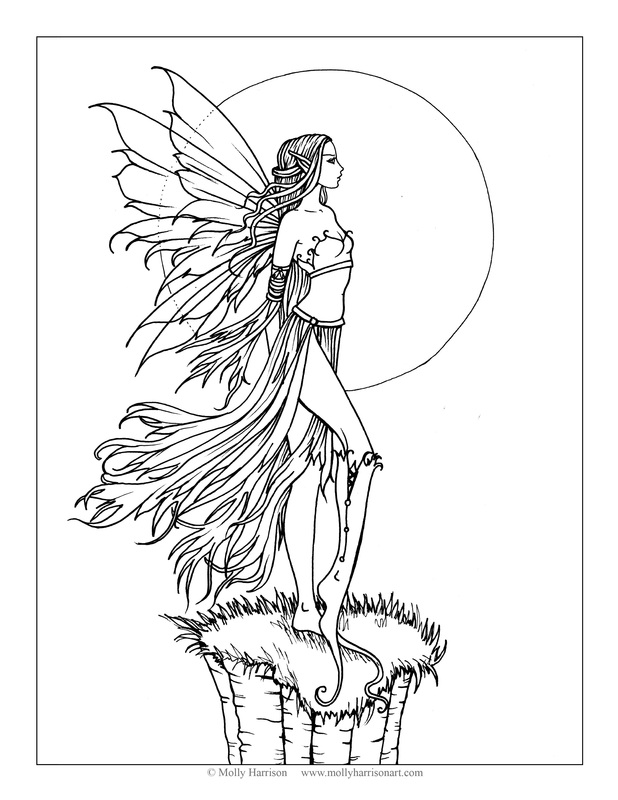 Here you will find fine art prints and merchandise for sale as well as digital coloring books and individual coloring pages. Thank you for visiting! Be sure to like Molly's Facebook page and Instagram Profile for fun stuff like giveaways, coupons, and works in progress! 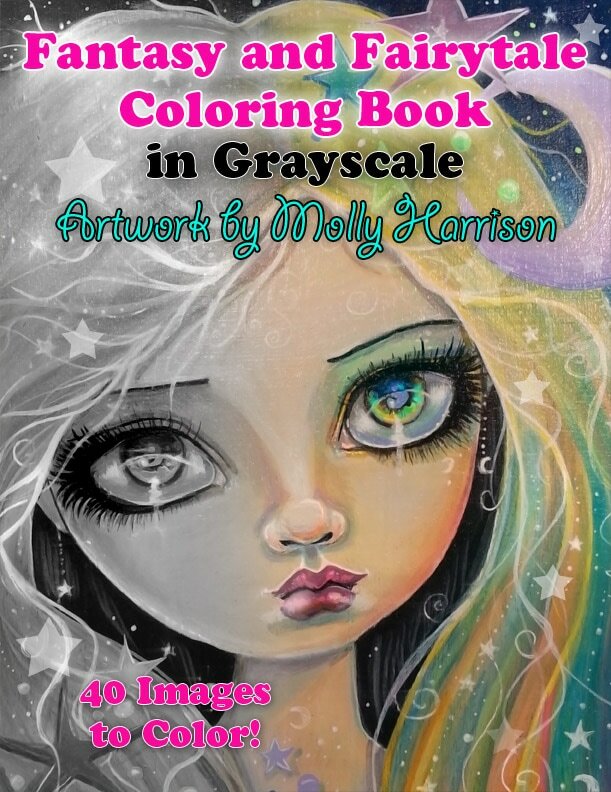 Two new art books featuring Molly's paintings from 2005 - 2018 are available on Amazon! These are soft cover books with full color images. 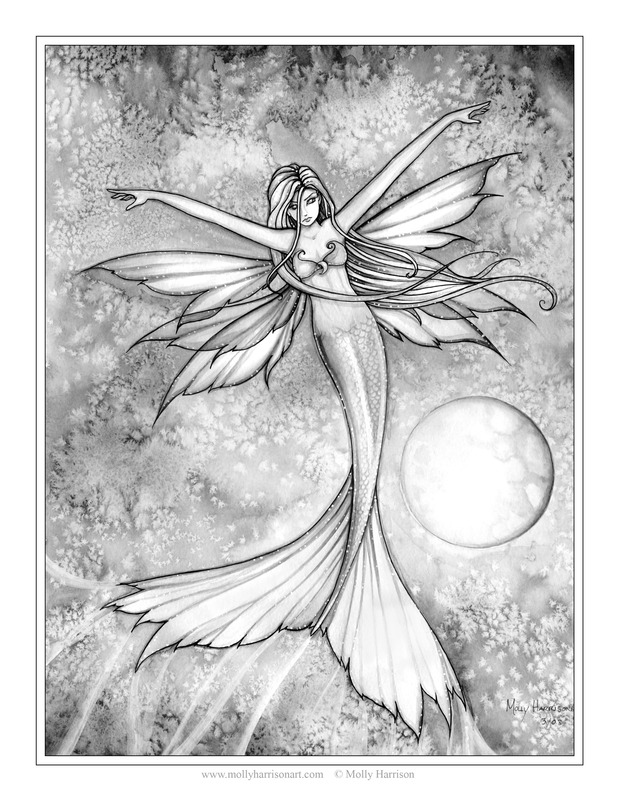 Mystical Visions Volume 1 contains flower fairies, celestial fairies, mermaids, some dragons and myth. 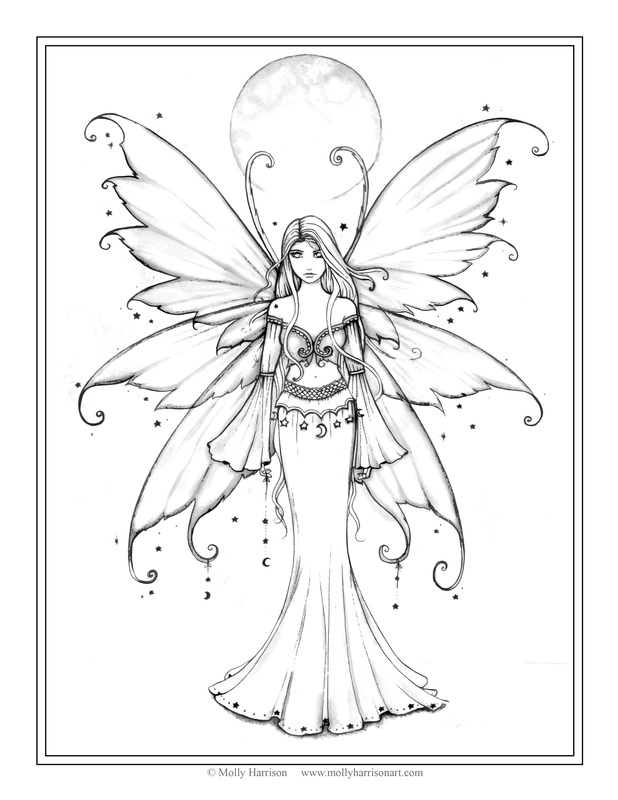 Mystical Visions Volume 2 contains darker fairies and imagery, celestial fairies, witches, Halloween and autumn themes, Molly's Tarot art and her bohemian fantasy faces. 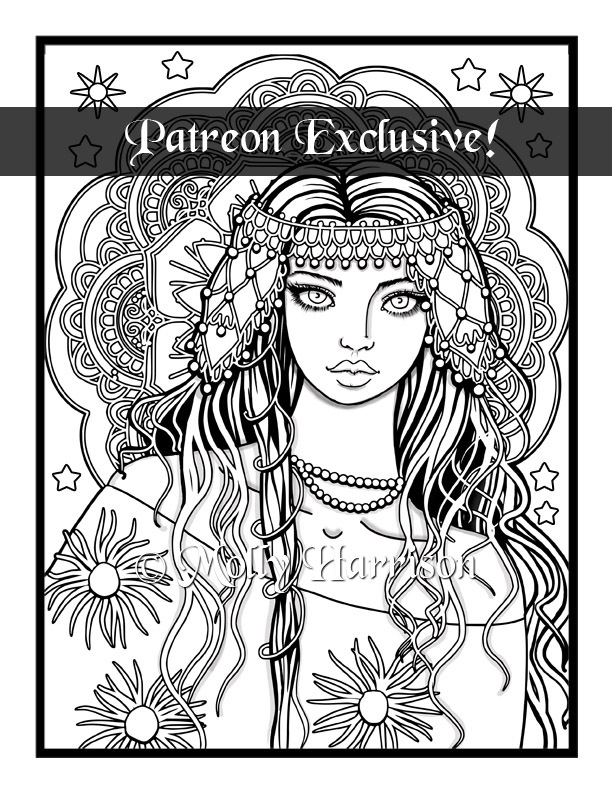 March Exclusive Coloring Page on Patreon! 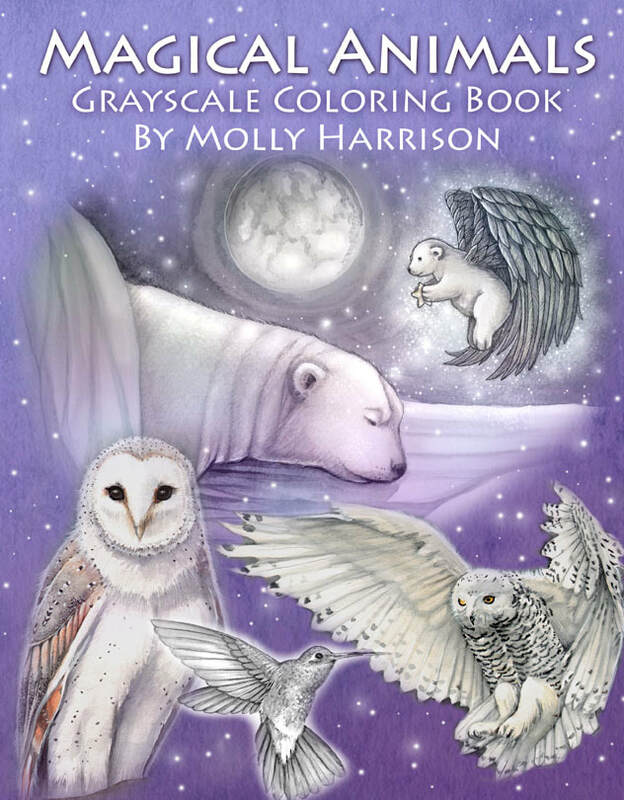 The Fantasy Art of Molly Harrison Coloring Group on Facebook is a great resource to learn from peers about coloring - tips for grayscale coloring and line art. A group where you can post your colored pictures and have a lot of fun seeing what others are doing. ! 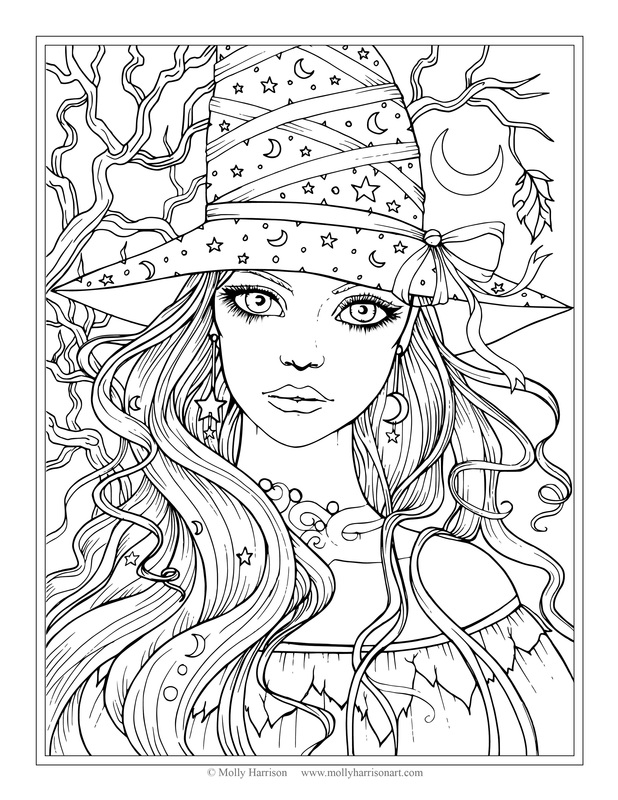 New coloring books have been released! Click on images below to see them on Amazon. Also available as instant download, printable PDF files HERE. New art! Originals and prints available in my Etsy shop. Click on images to go to the listing on Etsy. Unfortunately, due to the Camp Fire in northern California, all the original paintings that were displayed here that were available were destroyed. This unicorn piece is my first painting of 2019 and it is available ! 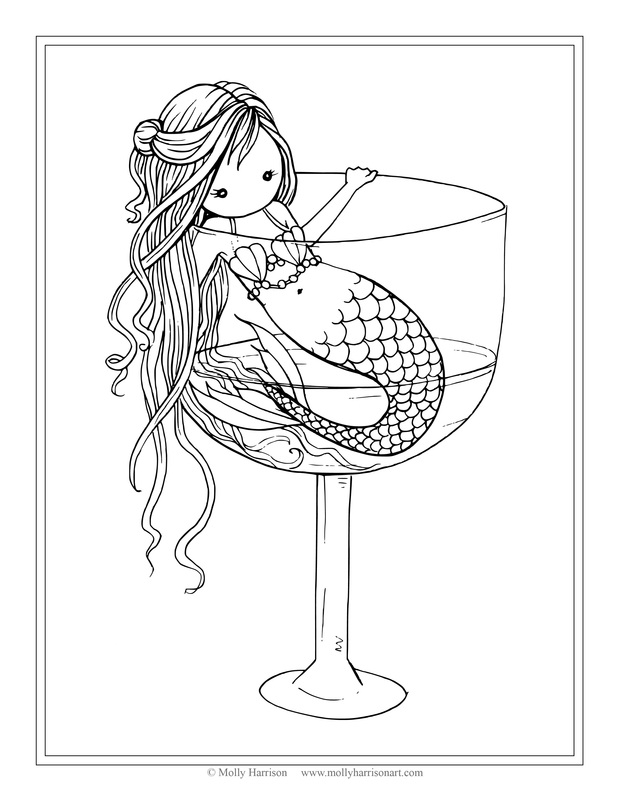 Free Coloring Pages for Personal Use Only! Click on images for full size then save to your computer. 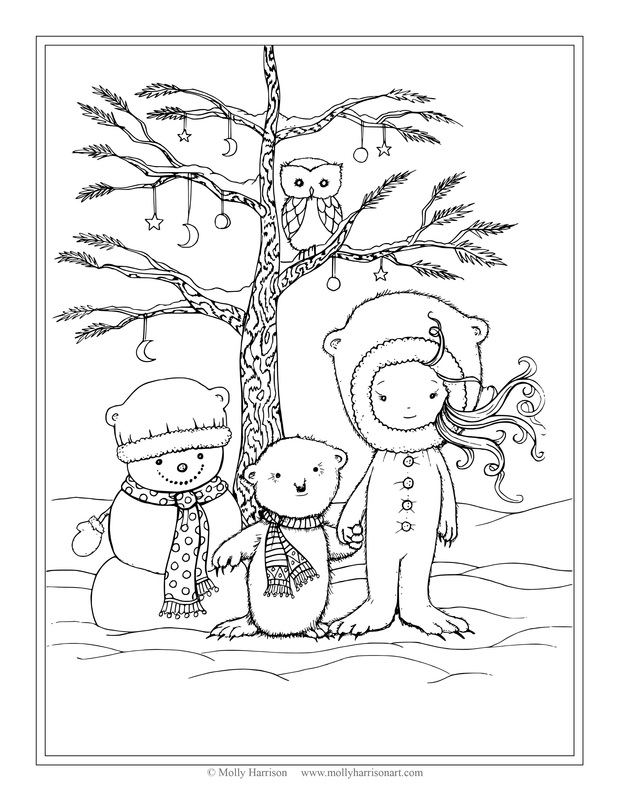 If you share these coloring pages you must link back to www.mollyharrisonart.com and also credit © Molly Harrison somewhere in the post. 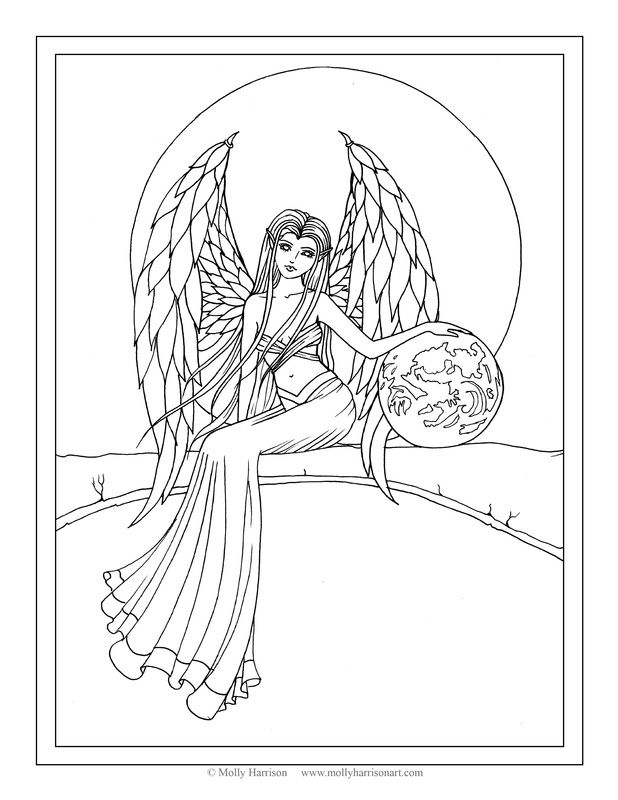 All free coloring pages are the sole property of Molly Harrison and are for personal use only. Please see TOU for Digital Items.